Girly Bits released the six piece Bridal Bliss collection of pastel creams last summer and in it is Hearts In Bloom, a pastel pink cream. The formula was creamy and nearly opaque in one coat, shown is two topped with topcoat. 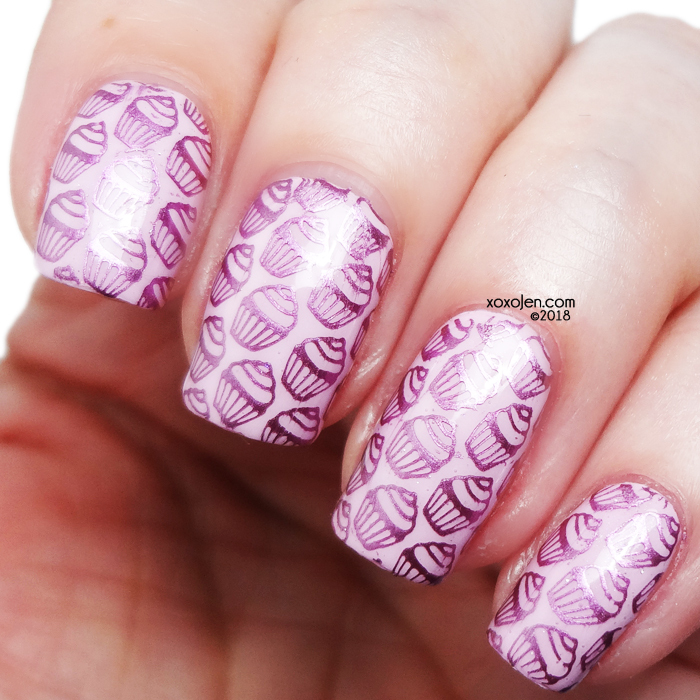 The shades in the whole collection make me crave macraons and other assorted sweets, so I couldn't resist stamping cupcakes when I came across this design! I used Joss stamping in Crimson Shimmer and plate xy-t29 from aliexpress. Love the cupcake stamp on these!